Weddings are a testament to a couple’s commitment to each other and also an act of bravery. We say “bravery” because we know exactly the amount of thought and time it takes to arrange a day that feels authentic and just right. It’s a process that often overwhelms the best of couples. We prefer to take our time with your day. We aren’t dizzying ourselves by scheduling back-to-back weddings. This is only one of the ways we counteract stress for everyone—by making you a priority. The sooner you book, the better! We limit the number of weddings that we take on at once so that we can give our full attention to yours. Most couples book their wedding with us 6–12 months ahead of time. So, as soon as you have your date, book with us and we’d be happy to cater your wedding. Simply schedule a consultation with one of our event producers over the phone or in person. They would be happy to listen to your vision and answer all the specific questions you have. Then we create a proposal for you. You review it and decide if you want to work with us. Once we’ve received your signed catering service agreement and a $1,000 deposit, the date is yours! Next come the tastings. We arrange most of our tastings in November through April. This gives us the time to perfect your menu. In this time, you will also be appointed a coordinator who will work with you through all your décor, design, serviceware, etc. needs. All the final details will be squared away four weeks prior to your big day. Do you cater to wedding locations outside Vermont? 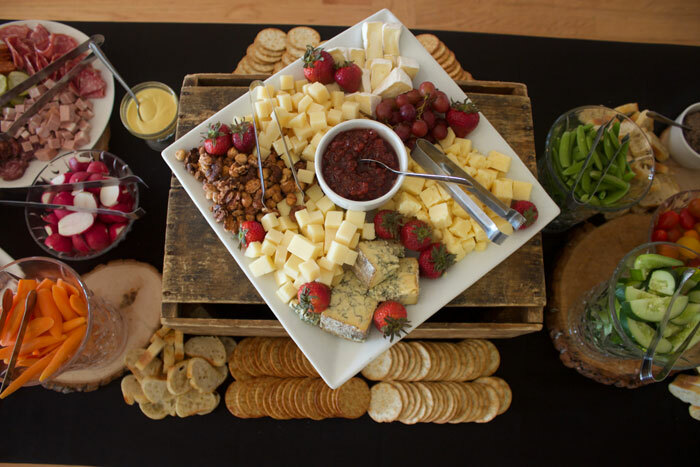 We primarily cater in northern and central Vermont. However, we do travel to southern Vermont, New York and New Hampshire with some extra travel fees. 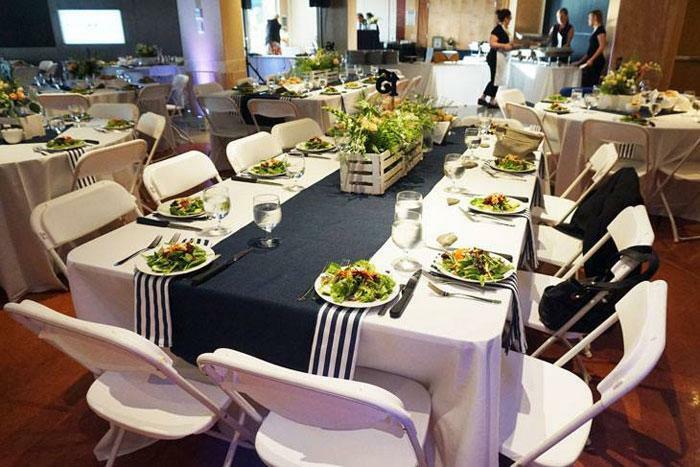 We own a lot of our own equipment and serviceware, so depending on your venue, menu and style we may be able to provide everything you need. How do you distinguish different service styles? What is the difference in cost? Service style is a very important decision. Deciding whether to have a plated, buffet, family-style or small plate station meal sets the tone and feel for the reception. The cost really depends on what the exact menu is. Each service style has its benefits, and each one can be the most or least expensive option, depending on the menu. Take a look at some of our sample menus with all our different service plans! We’d be happy to help you figure out what’s best for you. Just give us a call! Do you have a bar service? What are my options? 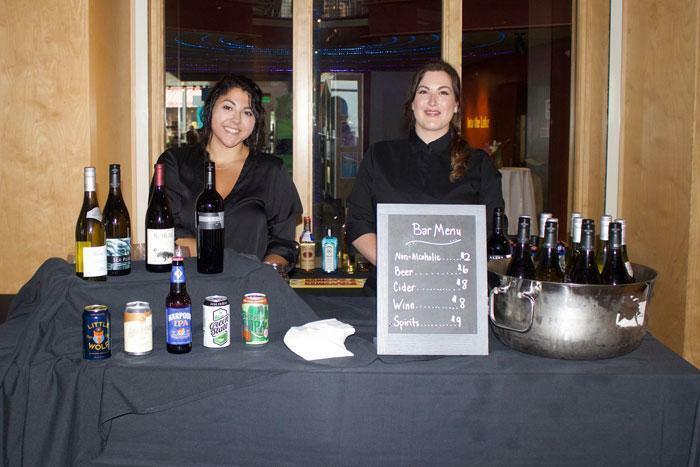 We have exceptional bar service, and our staff is licensed and adheres to high service standards. There are a number of ways to structure a bar, including hosted (a set price), consumption (we keep track of what we serve) and cash. We can also get creative with it. If you’re interested in hearing more, let’s talk! Can we bring our own alcohol to the wedding? If your venue allows you to bring your own alcohol, you may. However, if we are providing bar service, we are the only party able to supply alcohol during the event hours, and you can’t have your own. How much flexibility do we have in menu choices? We have menus that you can choose from. 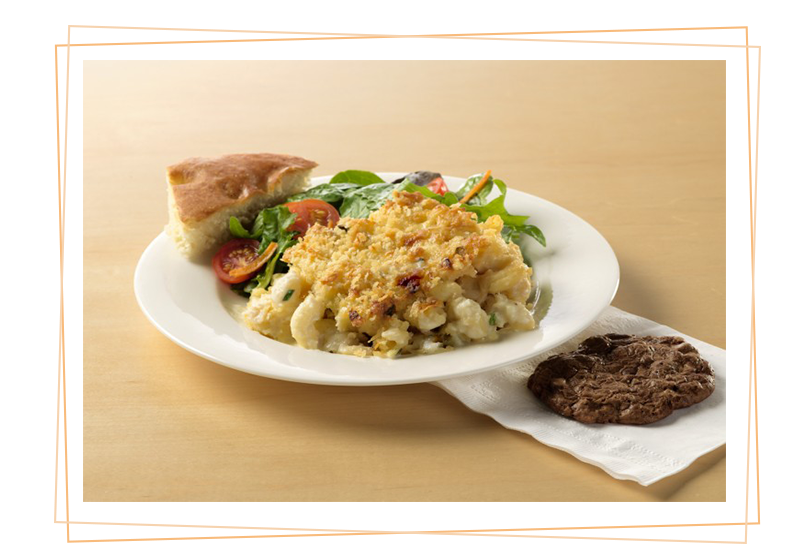 But we also really enjoy customizing menus in order to create the perfect menu for you and your families. Why does catering cost so much? We bring the restaurant to you! Caterers are really in the logistics management business (and the logistics involves food). Think about a restaurant meal—to have the same meal catered will cost about twice what you pay in a restaurant. What is the operations fee? 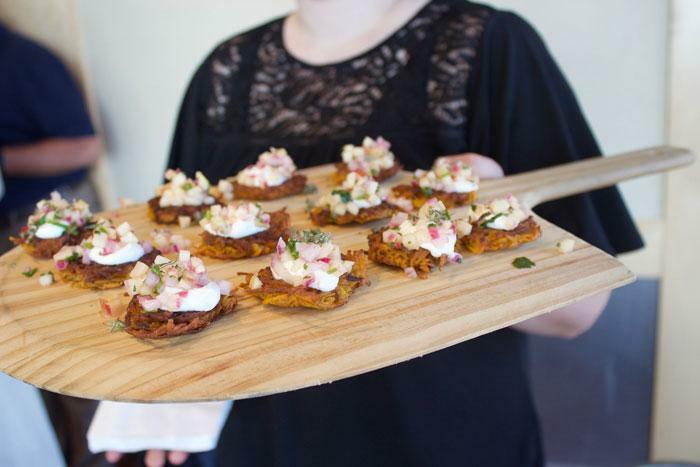 Our pricing is intended to be very transparent and cover all of the aspects of catering. That is why we separate out the food, on-site labor, bar and equipment on your proposal. The operations fee covers planning, site visit, overhead, local transportation and a tasting. No. We believe strongly that gratuity should not be automatically added. Our staff very much appreciate gratuities, and it is completely at your discretion to give them one. 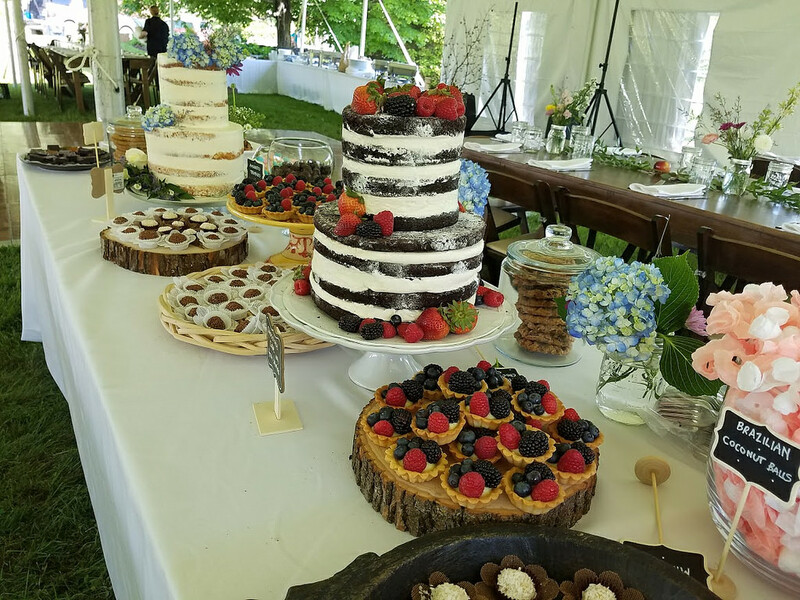 We understand that you may have more questions that didn’t make our lovely list of Vermont wedding catering questions. If you want to ask us more, we’d be more than happy to answer them for you!